Monday was a busy start of the week. And because I finally have a bike again, I used it Monday for the first time. It was like 3 or 4 years ago. (Oops) But I’m happy that I have a bike again, so now I can use it more often! 😉 Also the sunset was so beautiful that night. Tuesday evening I was on my way to my second first aid lesson. And normally I could drive 50km with my car. But this wasn’t correct, because I was just on my way and there popped up that it was empty. But luckily the station was nearby and I made it just in time! Wednesday it was time for my fourth session from hair laser removal from my bikini line. It was painful, but laser removal is for sure worth it. I will make a separate article about this. And in the evening when I was checking out the post, I received this beautiful invitation from an event for magnum. But good, after that we did a little drive in at mc donalds. I’m taking these two days together because I mainly helped with photographing a wedding. Only Saturday not the whole day. In the afternoon my mom came to get me. (my boyfriend used my car because he only has a motorbike.) And because I was sick Friday and Saturday I didn’t eat much. But luckily my mom also hasn’t eating anything yet, so we went for a little snack. 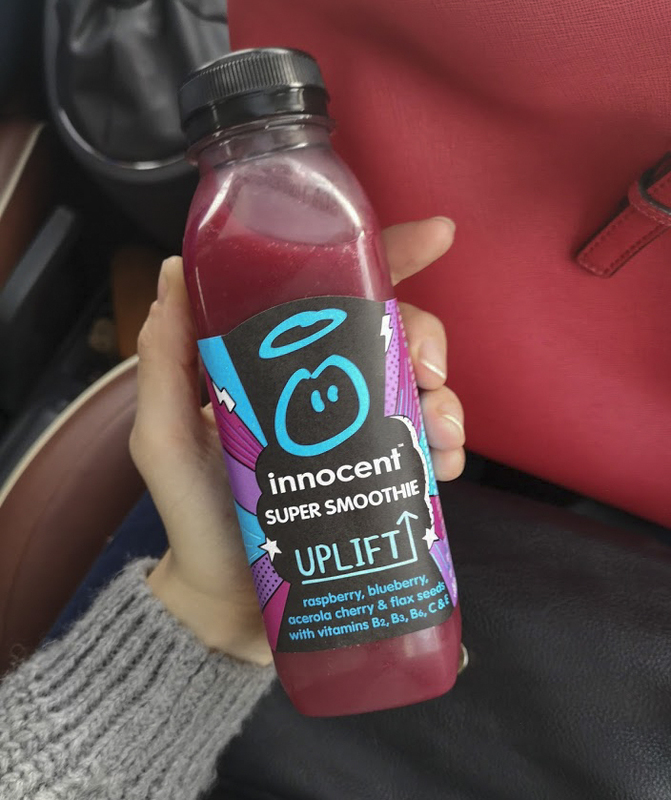 After a night of no sleep and begin ill, I could use this uplift smoothie for sure. Because Sunday it was time for the jumble sale. We had a lot, but we also sold a lot, if I must guess I think more that the half. So I’m a happy girl! And after the jumble sale, we went on a walk on the meir. And their I saw this santa claus. So it’s half September and there is a whole Christmas store on the meir. So early, but I’m looking forward for Christmas. And to end the day in a good way, we went for a good (veggie) pita! So this was last week. And this week I’ve got a lot of excited things planned. Like a casting, 2 cool events for the blog,..